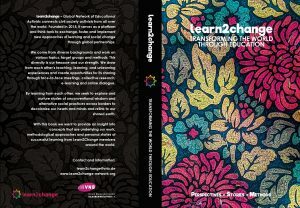 The book “Learn2Change – Changing the World through Education” gives insights into the diverse knowledge, thoughts, pedagogical practices and personal learning stories from network members from all over the world. The book is available in German and English. Hardcopies can be ordered by emailing learn2change@vnb.de.